If you’re looking for monster Metal mayhem then you could do a lot worse than the aptly named Bloodstock festival. This is one event that’s all about the killer riffs and toe-curling vocals, bringing some of the best names in Heavy Metal together for a weekend in August. The event started life back in 2001 when the organisers met via a web-contract and have been spinning out top quality events ever since. 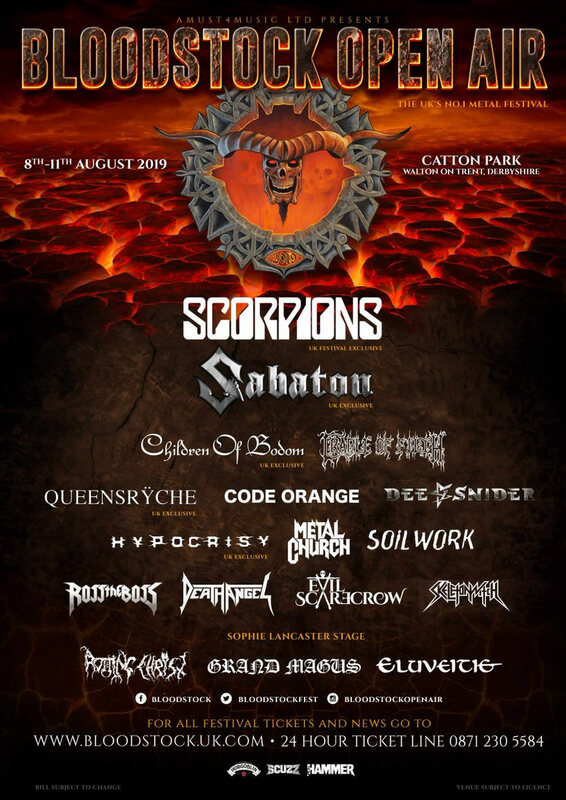 As with the Download Festival and Monsters of Rock before it, Bloodstock is one event where it absolutely is all about the Heavy Metal music, with top names both old and new frequenting the four stages here. The organisers tend to group each day’s acts, allowing them to provide line ups that complement one another rather than pin-balling from sub-genre to sub-genre. There are five different camping areas available to attendees of Bloodstock including a surprisingly quiet area for those looking to take the family for a weekend, where they operate a strict no noise policy that’s well enforced. Great if you’re looking to enjoy the music more than the late night shenanigans. If you’re after more information about this hard and heavy event then you can always tune into their special Bloodstock radio site where they’ll be announcing new acts and developments for the year’s festival.